Although the exact causes of cellulite are not known and it is not possible to permanently remove it, there are ways of reducing its appearance. You may have already tried exercise and healthy dieting, or you simply want to look at other ways of getting rid of the orange peel before changing your entire life around. Whatever the reason, it may be possible to decrease the appearance of cellulite dimples with the help of Revitol Cellulite Solution. What is Revitol and how does it work? This review will look at just that. · The product will bring you results within a few weeks of usage. It is not clear how long it will take as this will depend on various factors such as your skin type, lifestyle and diet. · As it is made only from natural ingredients, it does not carry the risk of any side effects. · Revitol is effective for both women as well as men. · It contains the important ingredients of caffeine and Vitamin A, both of which have been proven to significantly reduce the appearance of cellulite. · It is very simple to use. Apply the product to the Cellulite bumps 3 to 4 times per day in order to get the required results. · Revitol will not remove cellulite completely as no product is capable of doing that. Instead, it will considerably reduce the appearance of dimples, making your skin look smoother. · The product comes with a money back guarantee, allowing you to return it if you are not 100% satisfied with it. · It is difficult to predict when you will see the expected results as this will be dependent on numerous factors. · It has not been clinically tested to prove its effectiveness. · Its frequent application may mean that it may prove expensive in the long term. As cellulite is caused by fat deposits found below the surface of the skin, Revitol works by affecting those areas. The solution increases the blood flow in areas, which are normally difficult to reach deep inside your skin. The main ingredient contained in the product is caffeine, which has long been considered to have a large effect on cellulite dimples. It naturally increases the blood flow to blood vessels as it widens them and it tightens your skin by dehydrating it. Furthermore, Revitol contains Retinol A, a derivative of vitamin A which drastically improves the texture and health of your skin and rejuvenates the cells and connective tissue. The product also has an influence on your metabolism and it removes harmful toxins from your body, all through its direct application onto your skin as a topical solution. Will Revitol work for you? Revitol is not a miracle cure for cellulite and it will not remove the unsightly bumps permanently. No product is able to do that. However, it will drastically reduce the appearance of cellulite after a few weeks of use. Although the amount of time it takes for the product to work will vary, most users agree that eventually it does work as it restores their skin, increases its elasticity and firmness and moisturizes it. Although the product has not been clinically proven to work, its largely positive reviews suggest that it is likely to deliver visible results. Does Revitol Cellulite Solution have side effects? As the product is made from 100% natural ingredients, it does not carry the risk of any side effects. It can safely be used by those with sensitive skin and allergies. If you have any questions or concerns, please refer to the official Revitol Cellulite Solution website, or contact the merchant directly. 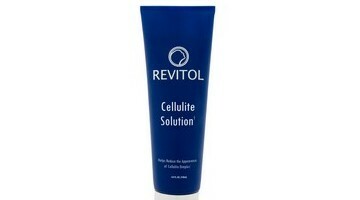 Only comment below if you have used Revitol Cellulite Solution before and you would like to share your experience. Don't forget to use the star rating system.